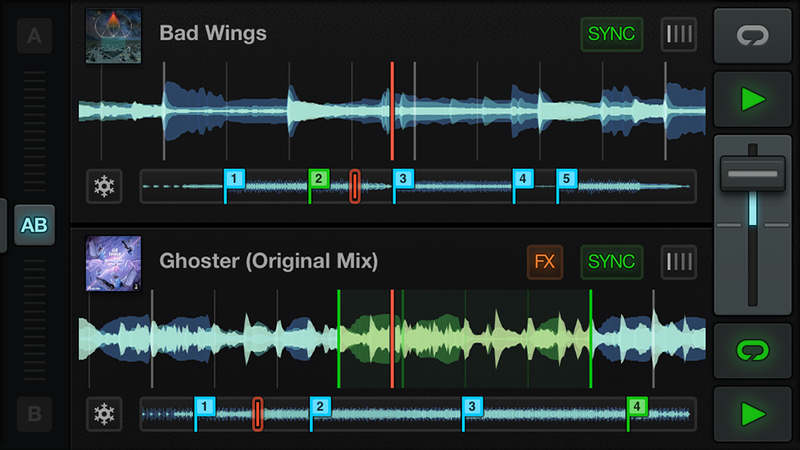 More than just an impressive tool for mixing songs live and throwing a banging party, Traktor DJ's clean design and intuitive UI could be a model of logical design for any developer. It seems so obvious that the songs you're mixing should be represented as waveform timelines rather than as spinning turntables. Why? Because digital music files aren't vinyl rerecords. NI says the Traktor DJ for iPhone retains the same mixing features and effects as the bigger version; And as you can see up top, the designers even managed to squeeze the original's double timeline view onto an iPhone screen. We'd be surprised if you can easily work with two tracks simultaneously on this condensed UI, but props for the ambition. Luckily, the single waveform interface you're more likely to use at this scale looks totally manageable.